"Nurse" is a general term covering many types of medical care responsibilities. 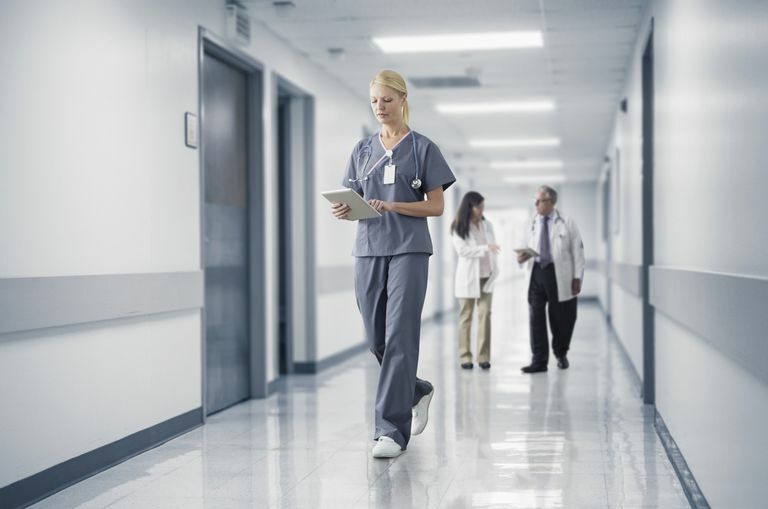 Nurses perform a variety of duties and are found in almost every medical setting, from doctor's offices to hospitals to nursing homes and others. Distinctions are made among the several types of nurses according to their education and their focus. All work with patients and their responsibilities are usually based on the amount of education they have. RNs (Registered Nurses): Registered Nurses may have a two-year, associates degree, or may have finished a four-year bachelor's degree (BSRN). They must then pass a national exam before they are licensed. Their responsibilities are broader since they have more depth of training. Patients may find RNs assisting with the more medical aspects of their care, such as administering some treatments, helping them manage their treatment plans, even explaining medical information or prevention strategies to them, or coordinating care with their families. RNs may choose to advance their studies and careers into more specialized areas. They may become CRNAs (certified registered nurse anesthetists) or specialize in fields like cardiology, oncology, pediatrics or even forensics. They may also decide to become NPs. The big difference between RNs and NPs is the degree of autonomy an NP is granted. While NPs are required to work under the auspices of a physician, in many states, NPs may diagnose and treat patients in an independent location, without the constant vigilance of a physician. When they are the diagnosis and treatment decision-makers in place of the physician, they are called physician-extenders. They may write prescriptions, run medical tests; in short, they provide basic care to patients who have common ailments like colds or flu or rashes, or provide maintenance care for diabetes or heart disease patients, freeing up more educated physicians to concentrate on more problematic diseases and conditions. There are disagreements about whether or not NPs should have a license to perform many of the functions they do perform. Many people will tell you that increasing the number of NPs will help to solve the pending primary care crisis in the United States. The American Medical Association argues that NPs have too much autonomy and may cause problems for patients who need a higher level of expertise. NPs will argue back that they are trained and have honed the instincts to know when a patient needs to be referred to a physician or a specialist. As for us patients, knowing the differences among nurses helps us decide who can provide us with the best advice and service for the medical problems we experience.